Four exciting short reads featuring Judge Willa Carson, published separately as ebooks and now available in one ebook and paperback collection. 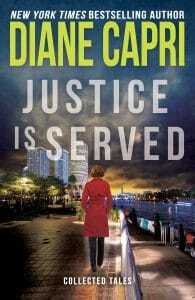 Includes the USA Today Bestselling Cold Justice and three more tales. COLD JUSTICE – Judge Willa Carson and her husband George head north to Pleasant Harbor, Michigan – and slam into murder. A car stranded in the road. A corpse slumped in the front seat. A gunshot wound to the left temple. Local authorities want this case put away fast because it’s bad for tourism. Willa sees what the cops don’t, and she’s not about to play along to get along. FALSE JUSTICE – Judge Willa Carson’s friend Ursula Westfield (Wasted Justice) has a career on fire. When a stranger sends her a chilling but cryptic email about a newly nominated judge, she knows she should ignore it. Driven by an insatiable quest for truth and a desire to do the right thing, she heads back to Tampa and comes face to face with a killer. FAIR JUSTICE – When a young reporter assigned to cover Judge Willa Carson’s courtroom for the local television station is sent on a fact-finding mission, he discovers residents of a small Florida town suffering from a strange, debilitating illness. 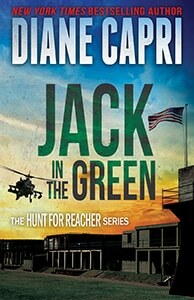 Uncovering the truth may cost the reporter his life, unless Willa Carson can save him. TRUE JUSTICE – Ginny Richards has a great new job working for wickedly smart Juge Willa Carson. But when Ginny invites her new workmates to see her moonlighting as a jazz singer at a local club, she never expects that a night of music and merriment will lead to murder. Can Willa Carson fix this?